Autumn colours have been introduced into our landscape. 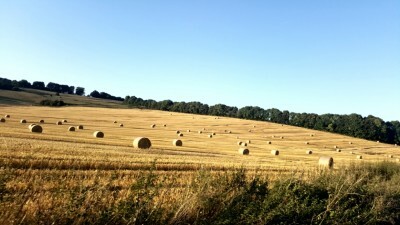 This photo of the hay harvest was taken a couple of days ago along the North Downs in West Kent. And yesterday we went on a photo expedition taking pictures of spring.